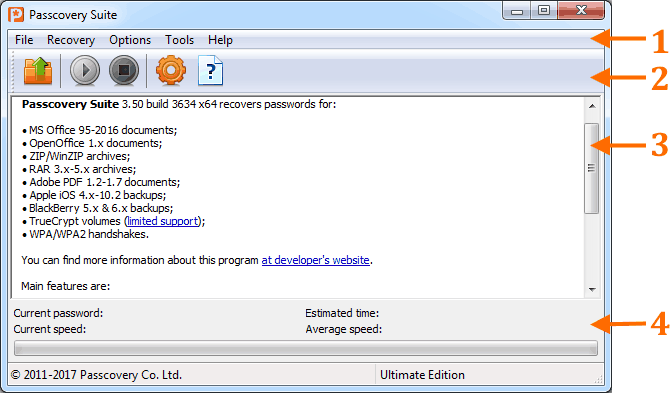 The program interface is very straight forward and easy-to-use. The biggest part of it is an information pane (3) showing details about document. There is a status pane (4) below to provide a brief recovery status information. There is also a menu (1) to manage the program and an icon pane (2) as well as hot key combinations to provide a quick access to some options of the menu.